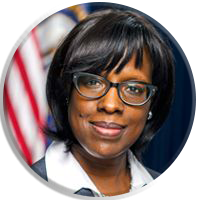 Jenean M. Hampton is the 57th and current Lieutenant Governor of Kentucky since December 8, 2015 after having won office as Republican gubernatorial nominee Matt Bevin's running-mate, in the 2015 gubernatorial election. She is the first African-American to hold any statewide office in Kentucky history. 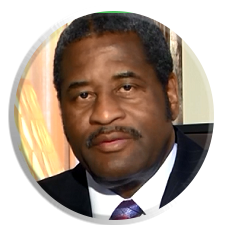 Raymond Burse, as of 2014, is the President of Kentucky State University. He is known for taking a $90,000 a year pay cut from his $350,000 salary so that his fellow employees could be paid a living wage. He had previously been the institution's president between 1982 and 1989, and later spent a decade as a senior executive at General Electric. 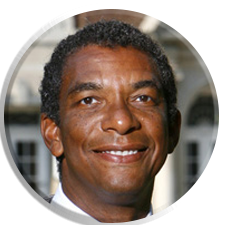 Dr. Aaron Thompson is a nationally recognized presenter and author in key educational policy areas including academic success, leadership, equity and achievement gap closing, curriculum development, and diversity and cultural competence. Thompson is the author of numerous books, including Peer to Peer Leadership: Changing Student Culture from the Ground Up; Thriving in the Community College & Beyond: Strategies for Academic Success and Personal Development; and Diversity and the College Experience. He has more than 30 publications and numerous research and peer-reviewed presentations, and his research has been cited in popular publications such as Cosmopolitan, Baltimore Sun, Orlando Sentinel, and the Tampa Tribune. Thompson holds a doctorate in sociology in areas of organizational behavior and race and gender relations.